CAF Champions League lifeline for Enyimba. It was just a few minutes to 11pm when the first wave of the news surged through. One of my contacts on Twitter who first mentioned it said it was likely and when I quizzed him further, he threw some light on the situation and implications. We agreed to wait and watch for the official announcement. Then a couple of minutes later, it broke from the official CAF Twitter handle and subsequently their website. “Following the regrettable incidents that took place during match no.98 of the 2016 edition of CAF Champions League between ES Setif (Algeria) vs Mamelodi Sundowns (South Africa), whereby the referee was obliged to abandon the said match before its end”. “Match officials noted especially the pitch invasion as well as numerous throws of missiles, stones, bottles, and firecrackers, provoking a certain number of injured spectators and members of the security forces”. “The CAF Organizing Committee for the Inter-Clubs Competitions decided to apply the provisions of Chapter XII para 3 and considered ES Sétif loser and eliminated from the competition without prejudice to any other sanctions that may be imposed by CAF Disciplinary Board”. We can look at it from different angles as per the significance but I think the more important one is that a very tough opponent has been ejected from our group. 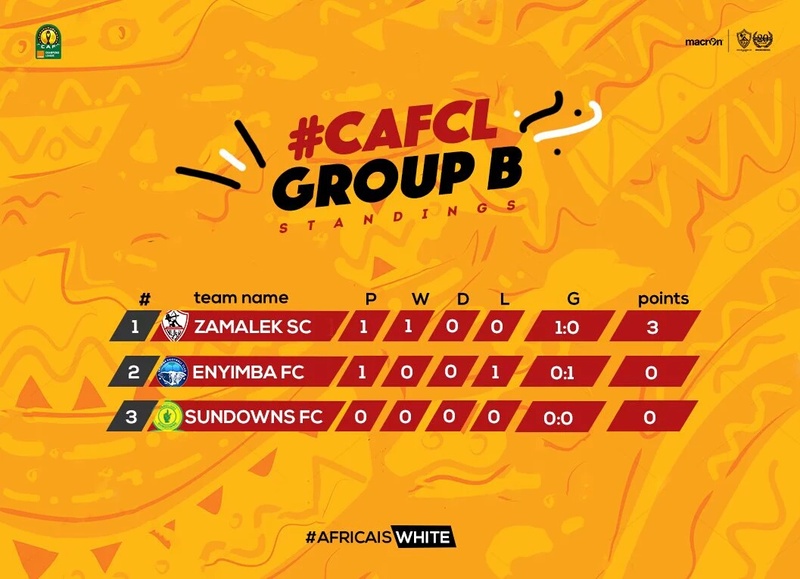 Prior to the first round of games, we believed Sundowns would be the whipping boys and we have two tough North Africans opponents to try to maneuver. It’s different now cos one big Elephant is out of the room. What that means in simple terms is that we have three more games to progress from a group of three, one at home, two away. The points Sundowns had accumulated has been chalked off and this puts much more significance to the game against them in South Africa next week Wednesday. It also means we have just one more CAF Champions League home game and it’s against Sundowns. The onus lies on us hence to improve our away record if we have any plans of going through. Sundowns have yet to play Enyimba and Zamalek at home, if we lose next week, we can as well not bother ourselves again with the competition. Call this whatever you want, a lifeline, a miracle, a divine intervention. But it will count for nothing if we are unable to make something out of this. The need to avenge the weekend defeat to Zamalek must be reawakened. It is one thing to lament on all the wrongs that happened, it’s another to step up and make a difference. I hope the team takes advantage. In other news (which we failed to mention last weekend) the club has finalized the deal with Umbro as our kit designers. The team actually wore these Umbro jerseys last Sunday vs Zamalek. According to the club media officer, there will be a formal ceremony in London next month. Been a long time coming and we had been waiting as far back as the Super Four in Uyo for the announcement. But more than just the ceremony in London, uttermost for the fans is the provision and availability of replica jerseys. I believe that was somehow inserted into the contract. We have an ever increasing demand, it’s about time the club made things happen to quench this thirst. Sermon is over for today, back tomorrow with something really tasty.